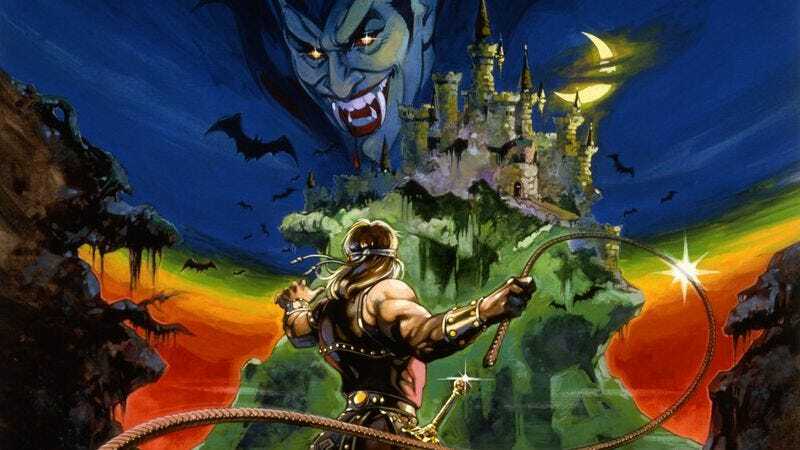 The first Castlevania game was released in Japan 30 years ago today. Known there as Demon Castle Dracula, Konami’s melding of 8-bit action and monster-movie horror stuck, and the resulting series became an industry staple. Through nearly 30 games and several major overhauls, one of Castlevania’s most consistent qualities has been its music, a collection of diverse and iconic songs that have a sound all their own. In this special edition of Let’s Playlist, we’re celebrating 30 years of Castlevania with a look back at the series’ soundtracks, sampling from the eclectic mix of styles and sounds that make this one of video gaming’s richest musical histories. And as always, we invite you to share your favorite Castlevania songs down in the comments—along with a YouTube link, if you can find one. At the end of the week, we’ll add your nominations to our playlist, which you can find right here, and share the final set in Friday’s Keyboard Geniuses.